Close to noon on April 6, 1903 — Easter Sunday — as families took in the newly pleasant weather in Kishinev, then part of Russia, a group of young boys started to hassle some of the Jews who had joined the Christian families in Chuflinskii Square. It happened every year. The period around Easter always heralded an escalation in anti-Semitic sentiment, fueled by the blood libel, which posited that Jews kidnapped Christian children to use their blood in making matzo. But 1903 was different, and what happened next would shape several different strands of history, among them those of Jewish persecution in the 20th and 21st centuries; Russian politics; the fight for Black civil rights in the United States; the creation of Israel and profound, identity-altering shifts in Jewish cultural memory. The boys moved on, throwing rocks at Jewish storefronts. Students from Kishinev’s Russian Orthodox seminary, joined by men in red shirts — who were initially identified as workers, but were later suspected of being deliberate rioters organized by associates of Pavel Krushevan, future publisher (and possibly author) of “The Protocols of the Elders of Zion” — began to ransack those stores. Within a few hours, the streets echoed with calls for the deaths of the Jews. Three days later, 49 Jews were dead. Jewish women across the city had been raped, and over a thousand Jewish homes had been damaged. The event became the subject of an international fixation. The new Hearst press in the United States covered it extensively, as did the Forward, alongside Jewish newspapers across the globe. While that particular fixation has long since dissipated, leaving many today ignorant of the Kishinev pogrom, for the Stanford historian Steven J. Zipperstein, the events in Kishinev continue to have resounding consequences in world and Jewish affairs. Zipperstein’s recent book, “Pogrom: Kishinev and the Tilt of History,” plumbs the long-lived impact of the pogrom. The book connects disparate parts of Kishinev’s history, previously left disunited by political and linguistic barriers. We met to discuss how an event few remember could have so powerful an effect, well over a century after its conclusion. The following interview has been edited for concision and clarity. Talya Zax: What brought you to this subject? Steven J. Zipperstein: I was writing a cultural history of East European [and] Russian Jewry, and started reading on the Kishinev pogrom. I knew, already, about the way in which it helped inspire the creation of the Haganah, the early beginnings of the Israeli army. I came to realize that Kishinev ended up being, in many ways, the backdrop to the deliberations of the Second Party Congress in its formative meeting in the summer of 1903, where the Bund [was] pushed out by Lenin. Lenin gained a majority; consequently, the Bolsheviks ended up becoming the major force in the Social Democratic Party. That discovery, coupled with the promiscuous use of the word “pogrom” in contemporary Jewish culture, persuaded me that if I came to understand this I would come to understand a good deal more. I also had long wanted to write a book where I could actually enter rooms and reconstruct lives of human beings. Because of the density of primary sources on the pogrom, I came to realize I could do that. I could follow people through those days. I intentionally use the word “tilt” in the subtitle not to suggest that [the Kishinev pogrom] was the cause of everything, but that it did help tilt history a particular way. I wanted to build a book around a moment of real catastrophe, and at the same time understand the various mythologies that Jews have constructed whereby all of contemporary Jewish life ends up being catastrophe. To affirm violence where it occurred, but to distinguish between what it was historically and what we’ve made of it. I started to dig into the sources around the first version of “The Protocols of the Elders of Zion,” which is the most obscure of the versions. It was serialized in a newspaper in Petersburg and sold only by subscription, very hard to get ahold of, even at the time. Once I came to realize that it was linked to the Kishinev pogrom, the story I was telling filled out in very different ways. The example is the Bund. The Bund ended up becoming Jewish history. But you can’t understand the history of Russian Marxism without understanding the Bund. Seeing the Bund as a separate Jewish history makes no sense historically. Zionism ended up belonging to Jews, but preoccupation with Zionism ends up being one of the major issues, as explained in the book, on the part of the Russian right. They’re convinced for a while that the Jews are intent on first buying up all the land of Palestine — they barely have any money, it’s all a fantasy — and then buying up the rest of the world. Fantasies become history. The “Protocols” enter squarely into history. The forgery of the Minister of Interior’s letter ostensibly proving that the government fomented pogroms [known as the Plehve letter] ends up creating history, and ends up fortifying beliefs that many of us share to this day. What do you think the consequences are of having history separate from itself in this way? In some ways, what I ended up studying was the origin of fake news. That term had no currency when I first started working. Both the authors of the “Protocols” and the authors of the Plehve letter sincerely believed that they were telling the truth, [although] they knew that the words that they put in the mouth of the Elder or the mouth of Plehve weren’t their actual words. What do you think might be different, in the span of history, if the Kishinev pogrom hadn’t happened? The word ‘pogrom’ is barely known, as of 1903. It’s almost invariably put in quotation marks. Within a year, it’s no longer a foreign word. It ends up providing the definitive explanation for the condition of Russian Jewish life. It’s not inconceivable that the sense that Jews came to have of the Russian Jewish past might have been different without Kishinev. There’s a connection between the catalyst of the pogrom, which is the blood libel, and the outcome of the pogrom, in which certain impressions not entirely rooted in truth become, for some people, historical fact. Do you see this event, from instigation to contemporary relevance, demonstrating broad patterns in history? One pattern is patternlessness, the role of accident. Rain on the second day of the pogrom. If that rain had persisted, the event as it transpired almost certainly would not have transpired. When you write history, you sense that if the same story you were writing was presented as fiction to a fiction editor, he or she would say the story’s impossible. You mentioned, earlier, the mythologies that Jews construct about contemporary life being catastrophic. Can you say more about that? I’ve collected obituaries of Jews who came from Russia, and almost invariably, the Times will report that they left Russia because of pogroms. Often, the places that they ostensibly escaped from experienced no pogroms. One of the sub-themes of the book, as I see it, is a historiographical theme, to explain how Russian Jewry ends up being conflated with pogroms. One of the things that’s obviously interesting about “Pogrom” is that it shows that it’s not a new phenomenon for Russia to be treated as a foil for the United States. The situation today is so vastly different. Russia then was by no means as powerless as it seems in retrospect. Russia [was] seen by liberal society as exemplifying the most extreme form of conservativism. For Jews that ends up consolidating an antipathy for conservativism that contributes to the surprisingly longstanding marriage between Jews and liberalism and the left. It seems to me that our fear of Russia today is wholly justified. It would have seemed to people who would have been my ideological cousins at the turn of the 20th century that fear of Russia was altogether justified. I was shocked at the tautological similarity between the way in which Jews in Russia are blamed for pogroms —by the government, by conservatives, not only by the far right — because of their economic capacity [and] their radicalism, etc. [and] the way in which African Americans are typically blamed for lynching, not only by extremists. Are there other misinterpretations of Jews in the context of the Kishinev pogrom that you found to be notable? There’s ample proof that Jews actually were active as fighters. And yet that ends up being sidelined by Jews, and emphasized by anti-Semites. The story of shame that’s told by Jews is [of] far greater resonance than the story of actually fighting. The connection between Kishinev and fighting ends up being a story of reaction to Kishinev, that we should never act again like Kishinev. What ideas from this book do you particularly hope people will walk away thinking about? I would hope Jews, in particular, would ask themselves about the tendency to flatten the Jewish past. Have we actually suffered as much as Jews believe we’ve suffered? We never would have survived. I would ask others on the left to ask serious questions about their tendency to deny the tribulations of Jewish diaspora, which flattens the past no less. It’s very hard to actually acknowledge that within half a century, Jews could be so powerless as to experience what Jews experienced in the Second World War and then to be as influential as Jews are in the contemporary world. 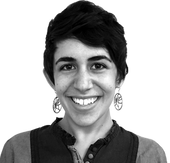 This story "Q & A: How The Kishinev Pogrom Shaped History" was written by Talya Zax.